Moscow appears ready to support the construction of the TurkStream gas pipeline with additional funds of USD 1.4 billion, in order to include Serbia. Russia’s President Vladimir Putin has made known that the Russian company Gazpromneft, which he said is Russia’s leading investor in the energy sector in Serbia with a USD 3 billion investment, plans to invest USD 1.4 billion by 2025. “We are working on the project, I would say that we are actually starting it, but ultimately everything will depend on the other countries, and EU countries on how much they will be able to defend their sovereign national interests in the dialogue they are conducting with the European institutions”, the Russian president noted. Turkey, according to the Russian president, is in favor of the prospect of expanding the TurkStream pipeline in Europe. “So, then, we will work together and see what the outcome will be”, Vladimir Putin said. 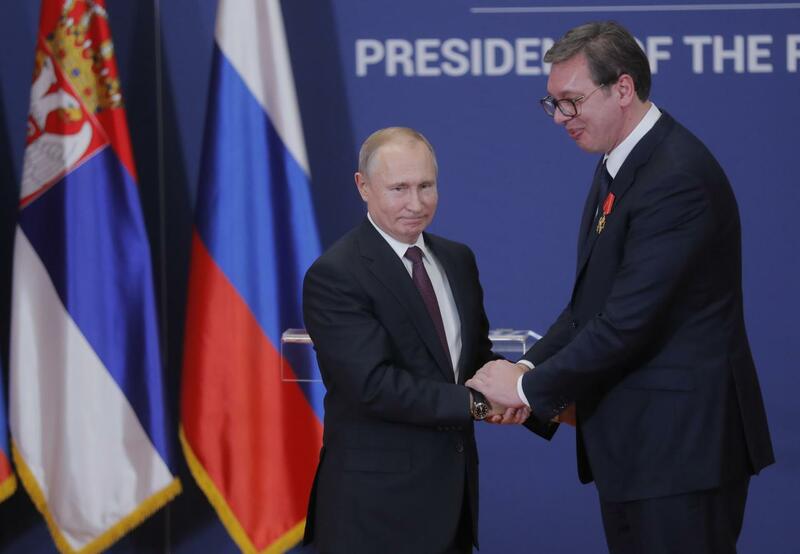 A total of 21 co-operation agreements and protocols were signed between Serbia and Russia during the visit by Vladimir Putin to Belgrade. In particular, with regard to the energy sector, an agreement was signed to increase the capacity of the Banatski Dvor gas storage facilities in Vojvodina, from 450 million cubic meters today, to 750 million cubic meters. It was also agreed to create infrastructure for the production of LNG for export. Serbia’s Public Electricity Company (EPS) has signed a contract with a Russian company to renovate and expand the Djerdap 2 hydro power plant on the Danube.